← What is a “Long Tow”? Except for a few sailing trips, our time here on Oahu has been confined mostly to walking distance from the Ala Wai Boat Harbor in the heart of the tourist metropolis of Waikiki. This week we rented a car and changed our scenery for a few days. Yes, the waves get big here. 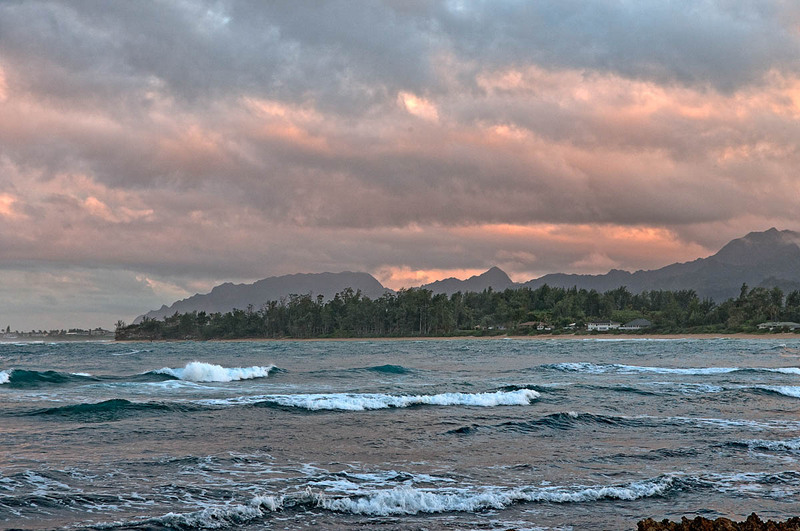 The North Shore of Oahu is famous for its surf. It faces directly toward the huge storms that roil the North Pacific and Bering Sea during the winter months. 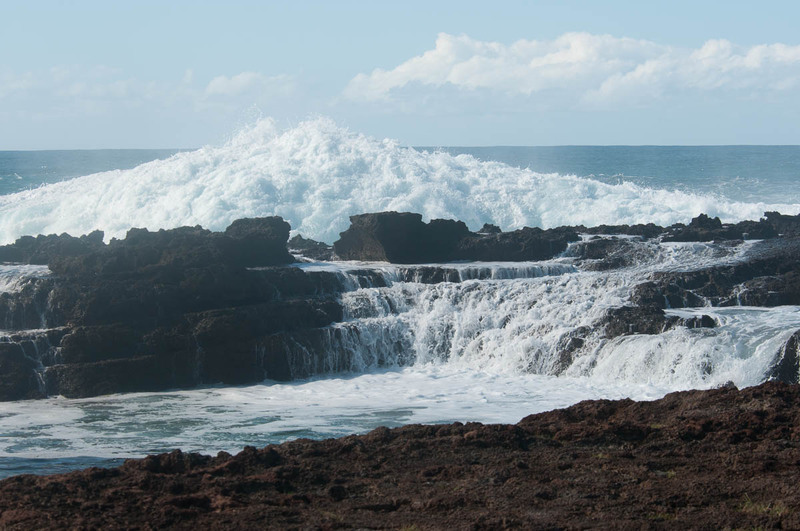 Swells from these storms travel across thousands of miles of open ocean and crash onto the steep shoreline creating surf of 20 to 30 feet or more. We timed our trip north during a time of “High Surf Warning” with waves forecast of 25 to 35 feet. As we drove from Haleiwa to Kawela Bay the road was crowded with people who had come to watch the action. At the campground we had reserved what they called a “suite”. That means you get a queen sized bed with air mattress, a pair of bunk beds and a toilet and electric outlets and lights. Nothing else. No sink. No chair. No table. 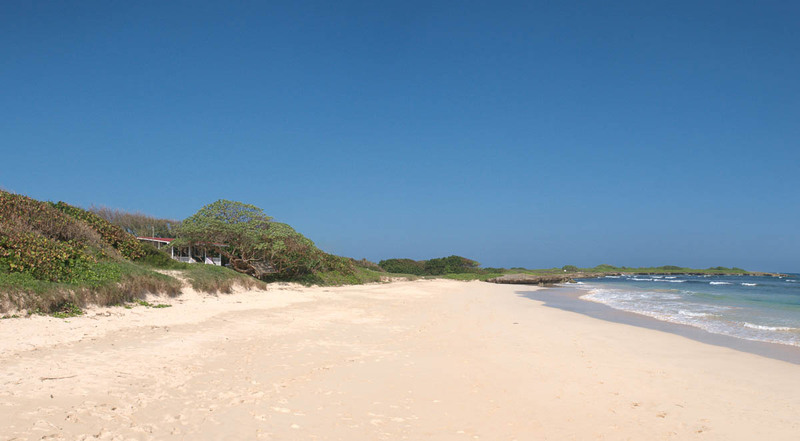 What you do get is the most spectacular beach I have ever spent time at. Over on the left of the picture you can see our “suite”. Notice the crowds on the beach. Since this beach didn’t face directly north, it didn’t get huge waves. 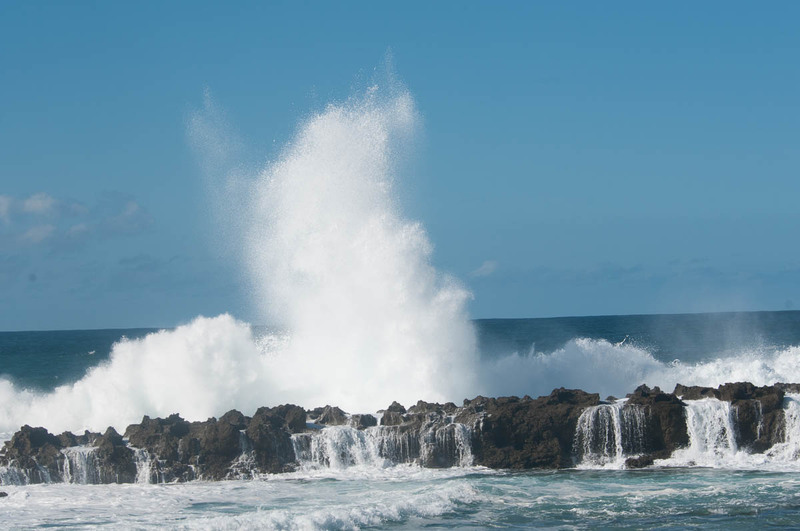 But further offshore the swells were continuously crashing on the reefs and islands. Instead of a rhythmic surf sound of one wave after another, here is was a continuous roar. Almost like a fighter jet taking off in the distance. We only had ONE complaint about our stay. The air mattress that came with our “suite” leaked. By midnight the first night we had sunk down to the plywood bedframe. 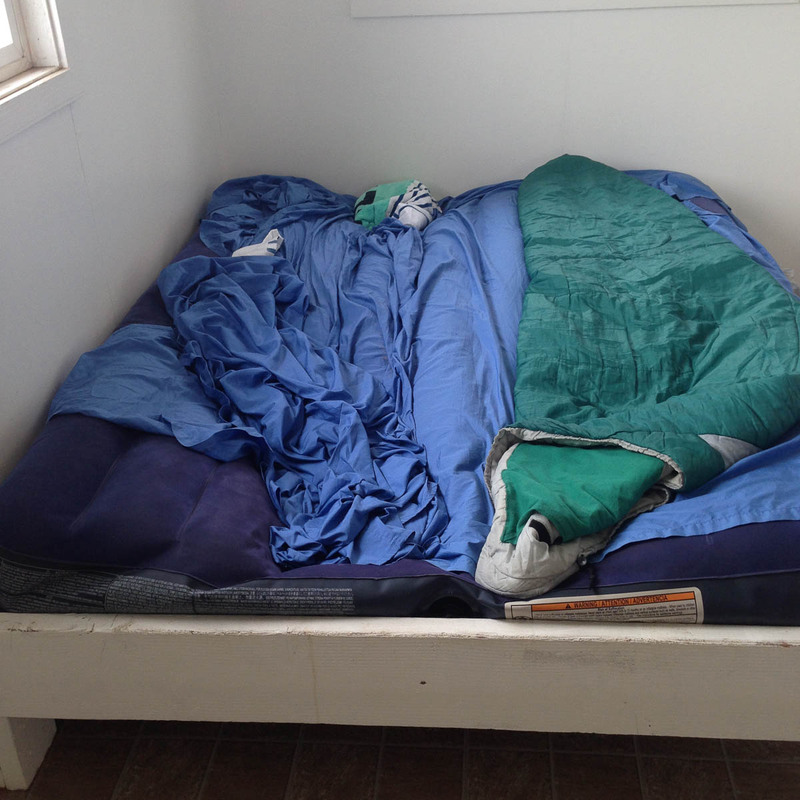 The next day the office loaned us the electric inflator, and we put the bunk bed cushions under the mattress. That wasn’t much better… The third night they gave us a new mattress, it leaked slower. It was 3AM before we bottomed out… Old bones don’t take to that kind of hard sleeping surface too well. Now we are back in Waikiki enjoying the boat. hello Bill we see on the Amel web site that you may be looking for a boat. We have a 2005 amel super maramu 2000 that we are looking at selling. 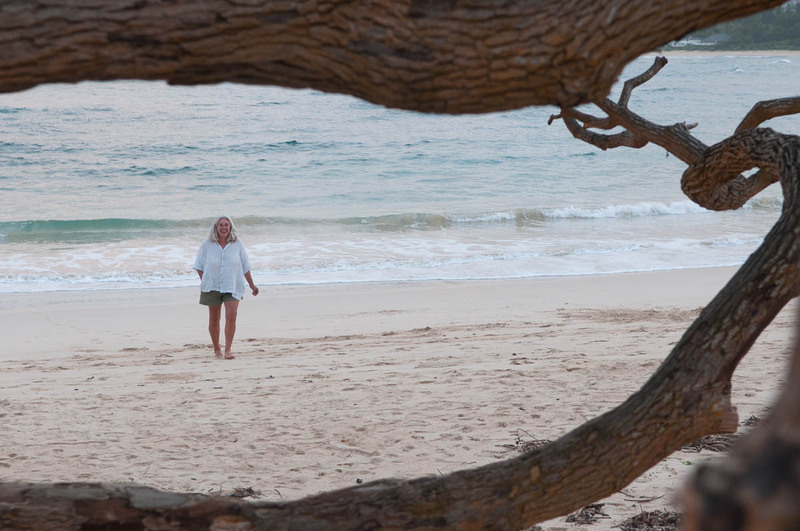 We are at present in Trinidad and will be cruising the Caribbean thru May. If you have any interest contact David. PS I love reading about your trip! You are having the most amazing adventures. When Karen was a kid, she and I would hunt fit shells for hours almost daily at Emerald Bay Beach. How much did the”suite” cost per night? Was it difficult to get a reservation? Thank you and enjoy every minute!